Powerline adapters are truly wonderful. While Wi-Fi frees us to walk around with unbroken internet access, sometimes we need the stability and speed of a wired connection—and that can be difficult when the router is at the opposite end of your house. Instead of running a 100-ft Ethernet cable from room to room, consider using a set of powerline adapters. Powerline adapters plug into regular electrical outlets and use electrical wiring to transmit network traffic. Sounds magical, right? But what are the best powerline adapters on the market? And how do you know which powerline adapter to choose? Here’s everything you need to know. Before we examine the best powerline adapters you can lay your hands on, consider exactly what you’re looking for. Like all technology, powerline adapters have technical jargon to wade through (though luckily, it isn’t too heavy). Speed: First up, speed matters. Powerline adapter traffic ratings start as low as 200Mbps, and have a middle ground between 500-1000Mbps. Top of the line speeds can reach up to 3000Mbps (though you’re more likely to encounter 2000Mbps in the current market). Your speed requirements depend on the maximum speed of your internet connection and how much speed you use in practice. Given modern data transmission rates for high-quality video, audio, and other media types, anything under 500Mbps is likely to cause slow network rates. Connections: Powerline adapters come with a few basic connections. Powerline adapters rated over 500Mbps will use Gigabit Ethernet ports to enable faster speeds. Pass-through power sockets are also handy, allowing you to use a regular plug with your powerline adapter. Also, some powerline adapters double as Wi-Fi repeaters, adding to your network range. Distances: The distance between your powerline adapters also makes a difference. Powerline adapters have a theoretical distance limit of about 1000 feet. While this is quite far, you will encounter some data transmission issues at the extremities. Price: Obviously, you don’t want to pay through the nose for your powerline adapters. Prices vary, but starter powerline adapter packs don’t usually cost more than $ 50, if that. Advanced models cost anywhere up to $ 200, but any more than that and you really must question what you’re purchasing. You have a couple of other considerations, too. What is the condition of the wiring in your house? Old wiring will produce slower speeds. Furthermore, you have to consider how your electrical wiring works from one floor to another, or even different rooms (if that’s what you’re planning to do). Many older powerline adapters don’t transmit from circuit-to-circuit, somewhat reducing your options. However, the newer HomePlug AV2 standard uses higher signaling frequencies and is more likely to cross from circuit to circuit. Without further ado, here are the best powerline adapters you can get today. Furthermore, you can manage the TL-WPA9610 using the tpPLC smartphone app. The app allows control of your powerline network settings, such as Wi-Fi scheduling (so you can turn your kids’ Wi-Fi off at night) or remotely resetting a malfunctioning connection. As far as powerline adapters go, the TL-WPA9610 has a modern, curved aesthetic that should blend into your home (the lack of antennas helps with this, too). Unfortunately, it doesn’t have a pass-through plug socket, but the dual-band Wi-Fi and price point make up for that omission. 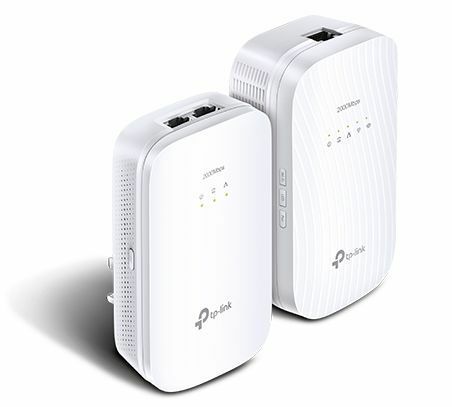 While the TL-PA9020P has the space-creating pass-through plug socket, it lacks Wi-Fi. 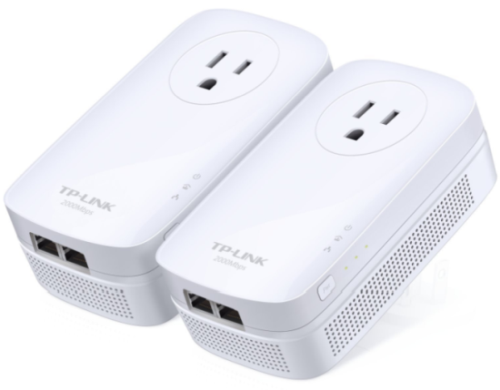 However, building a simple network is easy as you can pair the TL-PA9020P and TL-WPA9610 powerline adapters. In that, the TL-PA9020P is an excellent starter powerline adapter kit at a decent price point. Are the above too fancy for your needs? Some entry-level powerline adapters are available, too. If you only need to connect a single device to your router, a cheaper single port powerline adapter is worth considering. 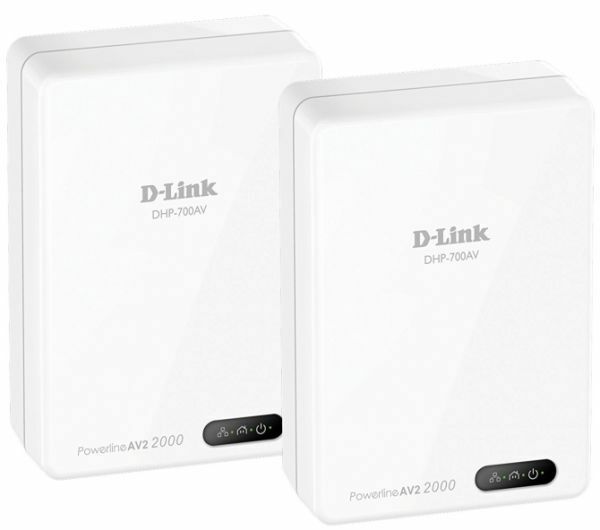 The D-Link AV2 1000 (DHP-601AV) is one of these basic powerline adapters that is more than capable of high-speed data transmission at a very low price. The DHP-601AV is basic. But it enables a fast connection between your router and a computer, smart TV, or gaming console. Unfortunately, it doesn’t feature a pass-through socket or Wi-Fi. 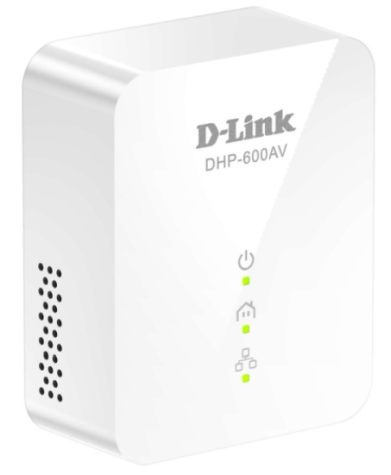 But at the very low price-point, the DHP-601AV is a low-risk entry point to powerline adapters. The basic D-Link powerline adapter isn’t fitting the bill for you? Upgrade to the next model in the D-Link AV2 series: the D-Link AV2 2000 HD (DHP-701AV). The DHP-701AV is also small in size, but unlike the DHP-601AV, it has integrated Wi-Fi. The DHP-701AV is well worth the extra initial outlay, as it boosts the Wi-Fi signal throughout your home as well as providing a wired connection. 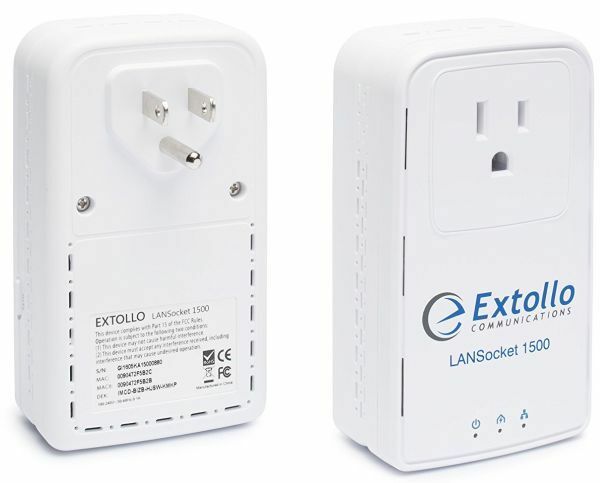 The Extollo LANSocket is another powerline adapter without integrated Wi-Fi, but the pass-through socket and fast data transfer rates more than make up for it. What Powerline Adapter Best Suits Your Home? Of course, every home is different, has different wiring, and a range of data requirements. Luckily, you’ll find a vast range of powerline adapters to suit your needs. There is one more powerline adapter feature to consider, too: your home internet speed. While you could save some cash by buying an adapter that matches your home internet speed, you may want to hold off if you’re hoping to upgrade your internet connection in the near future.